Your programme is an eclectic mix of mainstream and indie film. How do you balance accessibility with your own ambitions for film culture? Kelly: We’ve always been proud of our eclectic mix; taking risks has always been one of the interesting things about programming. However, in recent times Light House has had no choice but to pepper more mainstream films into the schedule, but that’s no bad thing. We have an extremely loyal, established audience who have a certain expectation for the programme, but to build on this audience we have to engage with younger people and families who will be our next generation audience. Once they’ve been introduced to the type of cinema we are and they’ve had a great experience , we can then hope they will become regular returners and engage with more challenging and wide ranging films. What films have been most successful with your audiences in 2017? Jas: The biggest grossing films in 2017 have been Dunkirk, La La Land, Murder on the Orient Express, Victoria and Abdul, Lion with great box office results also from Paddington 2, Jackie, T2: Trainspotting, Moonlight, Death of Stalin, Their Finest, Manchester By the Sea, My Cousin Rachel and taking the year out in style and great business with Star Wars: The Last Jedi! All the live content stuff has been consistently excellent and shows how much this medium is helping to reinforce the structure of film programming for increased attendances. You have been hosting Deaffest Film Festival for many years, tell us a bit about it and why these festivals are so important. Jas: I have always considered myself as an ambassador for the Black Country using my knowledge and expert practice of Audio Visual technologies and event management to bring many great events to the region. I was instrumental in bringing the first The Deaf Festival to Wolverhampton in 1997. This well and truly put The Black Country on the map for the deaf community with people travelling from all over the country and internationally to attend the annual festival. The festival showcases deaf awareness and nurtures the celebration of deaf talent through filmmaking and creativity. It also addresses many issues surrounding deafness whilst being very informative, with a positive approach and deep insight. It has evolved positively over the years, changed name and is run now by the great team at Zebra Uno, but is still delivered annually by me and the team at Light House. 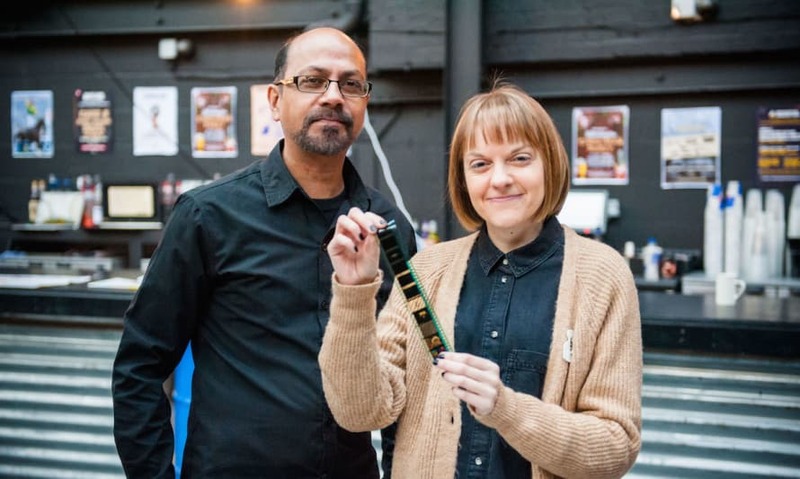 Jas you have recently been named one of 100 Masters in the Black Country, tell us about your experience as a projectionist and how it's changed over the years. Jas: I have had a passion for photography, cinematography and everything creative from a young age and movies have been a part of my life ever since I started making films on my brother’s 8mm cine camera as a child. I was charmed by the projected image and the magical atmosphere it created, not to mention the wonder of the showmanship involved in projecting it, so it’s no surprise that I would end up working in the cinema industry! I entered the industry way back in 1979, when I was taught all the skills of the trade by my inspirational mentor, Chief Projectionist Dave Tambling. 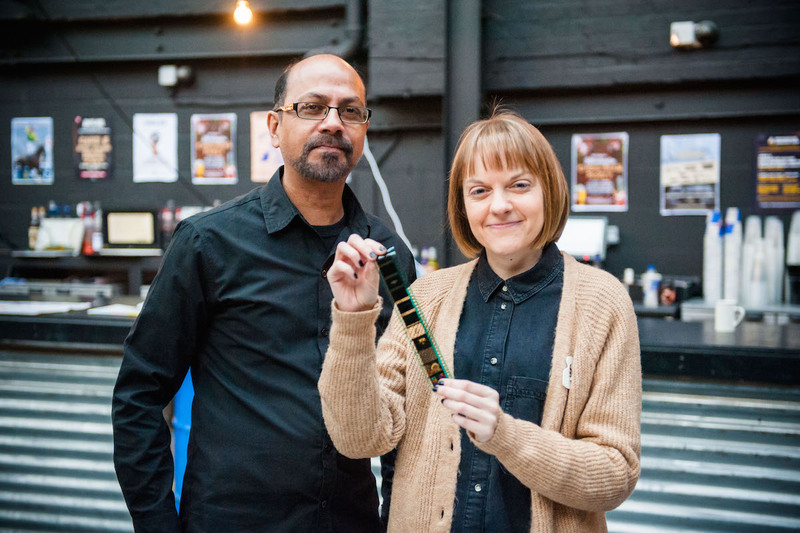 At the ABC Cinema in Wolverhampton I handled and learnt about all aspects of 35mm film and was trained to embrace all the levels of technology, equipment, maintenance and showmanship necessary to deliver the magic of cinema in all its forms. I have seen the face of the cinema industry change so much over the years and have helped influence the shape of it as it has evolved. This has included the migration from film to Digital platforms and the introduction of Alternative Content via satellite transmission, which completely changed the style of operation in cinemas, introducing live streamed theatre, operas, ballet etc. to cinemas for the first time. At Light House, we came on board right from the start when the technologies were first emerging in the industry. Working with heads of the deliverers of NT live and More2Screen, suppliers of Royal Opera House content, I helped iron out early teething problems and assisted many independent cinemas in embracing these new technologies, as well as offering advice for installation in their own venues. In fact, this was all happening before any of the big chains had access to this new content. The industry continues to evolve at a very rapid pace with so many great innovations and technologies to come in the future, for the enjoyment of the ever growing number of customers, helping to keep cinemas alive and well populated. My contribution and dedication was recognised and rewarded this year, with Creative Black Country including me in their selection of the 100 Masters Project and bestowing upon me the honourable title of ‘Master of Film Projection, Cinema Practices and Technology’. 100 Masters is an arts campaign to identify contemporary skilled people from the Black Country and help inspire future talent. Is there anything in the pipeline for next year which you’re particularly excited about? Kelly: Of course in the summer we will be facing mass hysteria with the next instalment of ‘Mamma Mia' so the prospect of a massive boost to the normally slow summer ticket sales excites me! In terms of films I am very much looking forward to Wonderwheel and A Fantastic Woman. We’re really excited about rolling out our current business plan, incorporating more family film choices, developing business partnerships and gaining more and more profile in the city as a cultural destination. We will be playing a big part in the future of Wolverhampton and its own city development phases, attracting more inward investment and in turn employment opportunities. Continuing to provide a great venue to new residents, University students and existing communities is one of my main objectives for the coming year. What’s your favourite cinema (apart from your own of course)? Kelly: I have a soft spot for Watershed in Bristol and I had a lovely experience watching a new release from New Zealand at the Gloria Boutique Cinema in Copenhagen. Chatting to the staff there about our shared values and programming ideas was wonderful. Jas: Watershed Bristol is my favourite cinema choice too, although Tyneside is very architecturally beautiful. What have you got coming up in January? Kelly: January always gets exciting as the whiff of awards season starts to approach which always helps with profile raising of great films. Films for January include Wonder, Suburbicon, Molly’s Game, The Dinner, The Post and the one I’m most looking forward to, Three Billboards Outside of Ebbing, Missouri. I’ll be waiting in anticipation to hear the different titles our audiences will call this one… when coming to see Murder on the Orient Express a few of them were asking to see ‘Death on the Nile’. One of the many pleasures I have is catching up with our regulars on a weekly basis, hearing their views on recent films and sharing my thoughts and recommendations about new films coming up. For information and to find out what's on at Light House, visit their website.